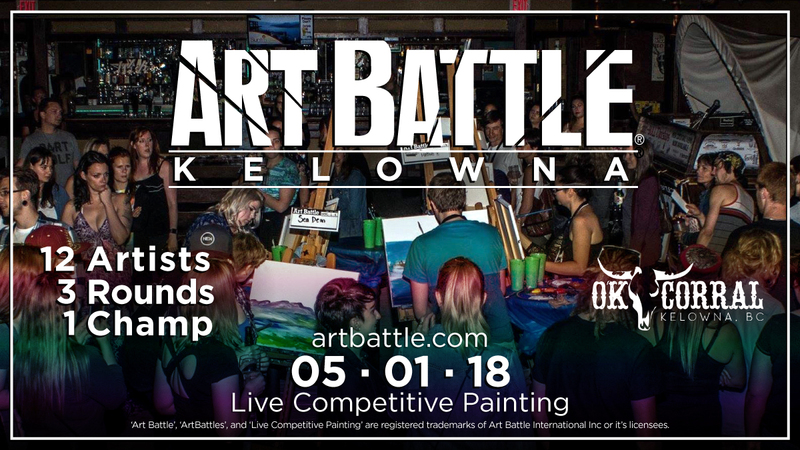 Art Battle® is pumped to be returning to Kelowna, BC as a part of Takeover Tuesday! Join us at the OK Corral for a fun-filled evening of creativity and community. Watch as 12 incredible painters battle the clock and each other to turn blank canvases into beautiful pieces of original art! Audience vote determines the winner! All artwork will be available via silent auction.